One North East company is helping to reduce the waste of unwanted clothing by collecting it for reuse. This week is Fashion Revolution Week. The event falls on the anniversary of the Rana Plaza tragedy in April 2013 when 1138 people were killed in the collapse of a clothing factory in Bangladesh. For consumers, the campaign is a reminder of the social and environmental cost of clothing manufacture, urging us to make better decisions. Every year the UK sends 350,000 tonnes of clothing to landfill‘Fast fashion’ has an environmental impact too during manufacture, and also when we’ve finished with it. 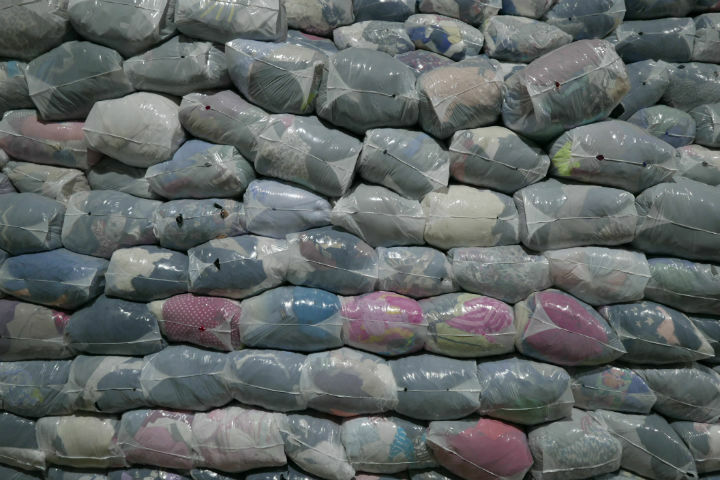 Every year the UK sends 350,000 tonnes of clothing to landfill (1). Over the last 10 years, clothing has been the fastest growing waste stream and three quarters of consumers admit to binning their discarded garments. Over 5% of the UK’s total annual carbon and water footprints results from clothing consumption (2). One North East company is helping to reduce this waste stream. Enviroclothes recognises clothing is so cheap that many people see it as worthless when they’ve finished with it. 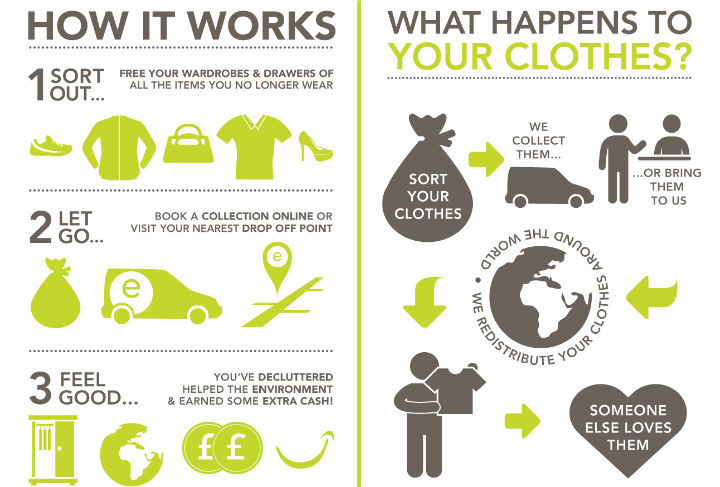 By offering small incentives for unwanted clothing, they’re able to retain reusable clothing in circulation. It’s collected, sorted, and shipped to Eastern Europe where there’s a sizeable market for reuse. I met up with Gabby Samra, the Business Development Manager for Enviroclothes, at their depot in North Shields. A native of Australia, Gabby was amazed by how big fast fashion was when she first moved to the UK. She says it’s not uncommon for some of her customers to buy a complete holiday wardrobe, only to bring it to Enviroclothes afterwards. Gabby explained that people just feel they’ve had the value from their clothes and are happy to recoup the price of a cup of coffee by selling them on. She even showed me clothing with price tags still on, garments unworn. “We’ll take anything from Primark to Prada,”Enviroclothes offers 40p per kilo for clothes, shoes and accessories at their drop-off points across the North East. “We’ll take anything from Primark to Prada,” jokes Gabby, but stresses that the clothes need to be in good condition. Interested in trying the service out for myself, I dug out a jacket and jumper that hadn’t seen the light of day for a couple of years. 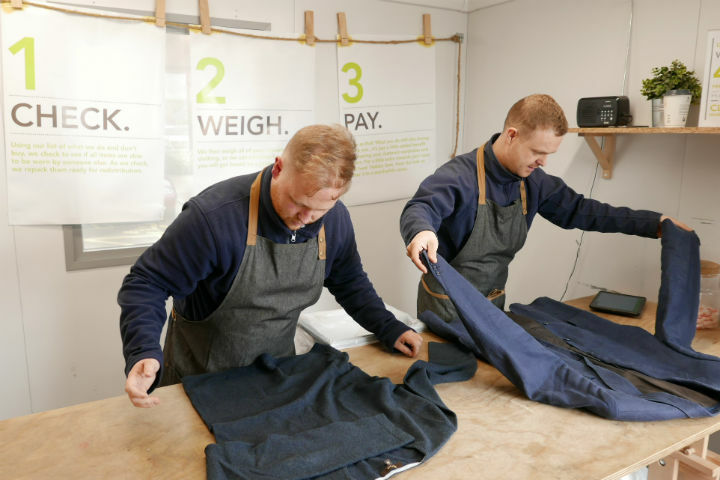 With relief, these were accepted by employees Daniel Sisk and Mark Carmichael at the drop-off point in Cramlington after they checked for damage, stains or excessive wear to the fabrics. Enviroclothes isn’t a recycling business, so quality is important if they’re going to sell on to their customers. Of course this rules out most of my clothes which I tend to mend and then wear into to the ground! Nevertheless, I left 42p richer! Paying small amounts for what is sadly ‘waste’ for many of us, is no different to deposit return schemes which have been so successful in raising recycling rates is some European countries. Daniel Sisk and Mark Carmichael inspect clothing at a drop-off point. This emphasis on quality versus quantity doesn’t stop Enviroclothes trading in substantial quantities. On the Saturday lunchtime that I went to Cramlington, Daniel and Mark had already collected 300kg of clothing. Gabby says they typically deal with 30-40 tonnes a month across the region, totalling 300 tonnes last year. The clothes are sorted in their depot and then shipped to Poland, her biggest market. She explains that there is no stigma attached to buying and wearing second-hand clothes in Eastern Europe. Enviroclothes have recognised the opportunity to reduce the environmental impact of clothing by increasing its active life. During this Fashion Revolution Week, we’re reminded to think more carefully about how we consume clothing. We need to buy fewer clothes, make them last longer, and then make sure they’re not sent to landfill afterwards. But, until we achieve that ideal circular economy, Enviroclothes will continue to reduce the waste of unwanted clothing by collecting it for reuse. 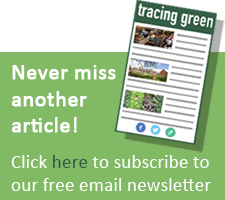 Read more articles on Recycling on Tracing Green. Adam Vaughan is an architect with a passion for low-energy environment-friendly buildings. After working abroad in Paris and Dublin, Adam returned to his native Newcastle in 2005 to join JDDK Ltd, a practice with a reputation for environmentally low-impact design, where he is now a Director.